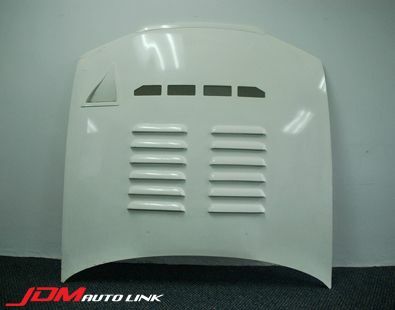 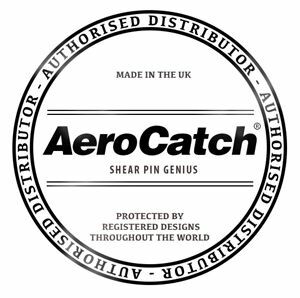 Pre-owned FRP aero hood off the Nissan Skyline R32 GT-R (BNR32). 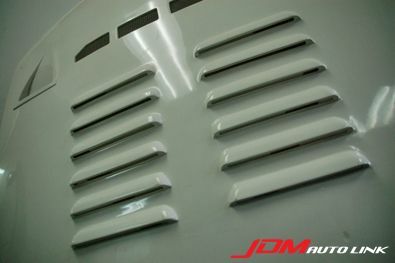 This aggressive looking hood has multiple air vents for maximum cooling efficiency and also features a NACA duct. 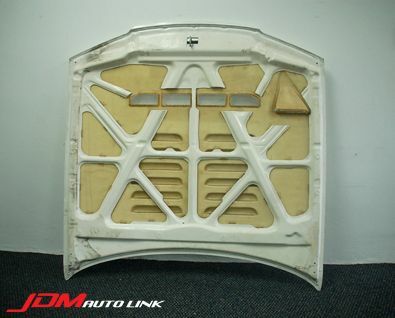 The underside of the hood also has the reinforcement bars (like factory unit) for added rigidity. 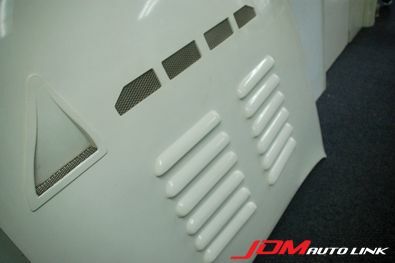 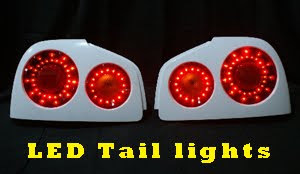 If you are interested in this hood, email us at sales@jdmautolink.net for pricing and delivery.